You are probably not surprised (because my blog is called Eclectic Lamb) that I like lambs and sheep. 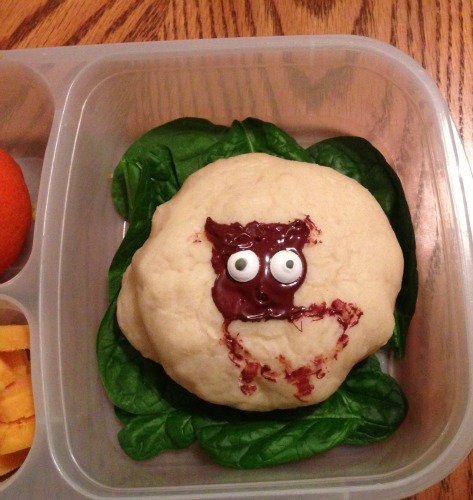 Today I am sharing an open-faced sheep shaped sandwich and a roll made into a sheep with the help of a little chocolate. 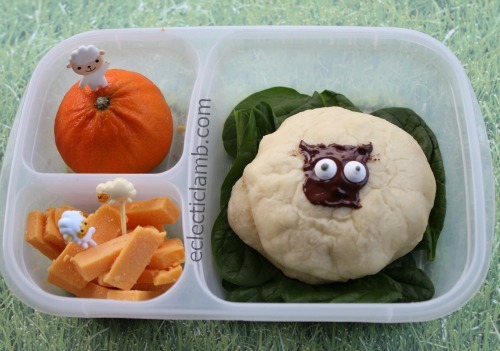 Here are some other sheep and lamb themed food and crafts. 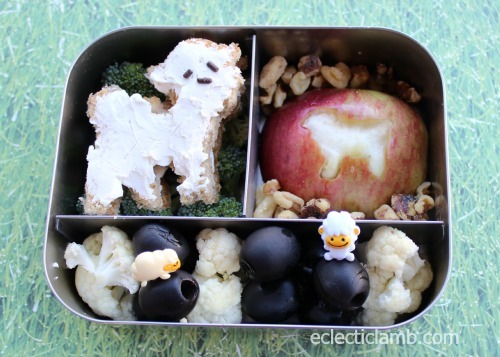 I also have a Pinterest board dedicated to lamb and sheep shaped food. 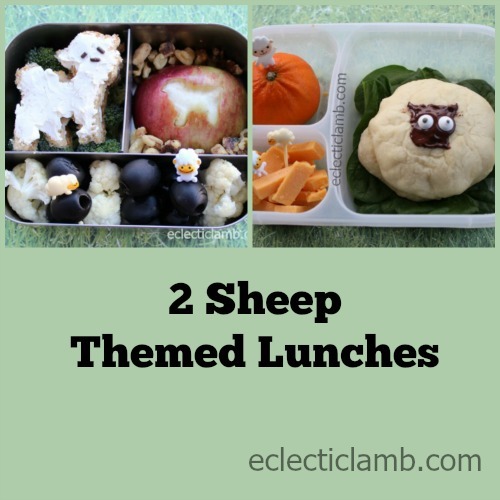 Recently I received a few new sheep cookie cutters so I decided to use two in this sheep themed lunch. This is my nephews chocolate sheep drawing.